Post-apocalyptic nuclear wastelands are supposed to be terrifying, but we’re always excited to experience those conditions whenever we take a visit back to the world of Fallout. With Fallout 4 having kicked this generation off, Bethesda is ready to turn in yet another new title – and all of this is before we’ve had another proper Elder Scrolls game! It’s called Fallout 76. And no, that doesn’t mean it’s the 76th Fallout game made. 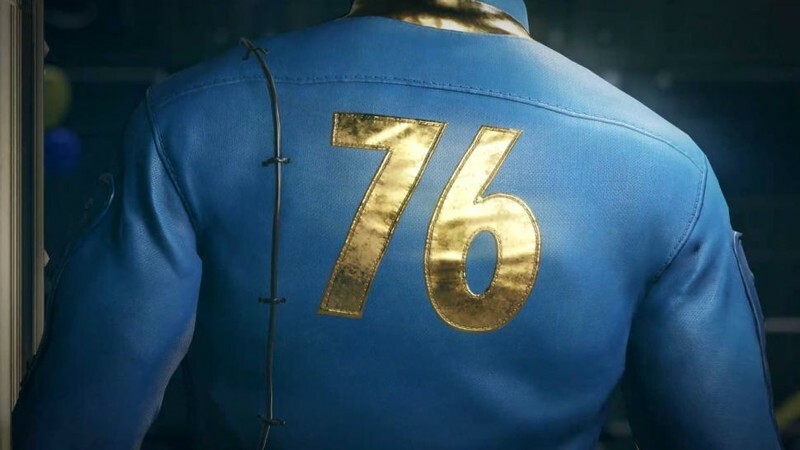 To find out the significance of that number and everything else you need to know about Fallout 76, read on. The Fallout series has traditionally placed players within a post-nuclear world. It’s a survival game at heart, they’re typically open world affairs ever since the third mainline title, and they feature Bethesda’s signature RPG touch, but with a combat twist that’ll make each encounter equally interesting and intense. You’re typically in control of a character who has spent most of their life within a “vault,” built for sheltering survivors from the effects of nuclear radiation. In previous Fallout titles, these vaults were typically evacuated due to emergency circumstances, with the events forcing you out into the world to fend for yourself. Some of these vaults are moderate in size, but there are a number of bigger ones called “controlled vaults” which house as much as 500 survivors. While the trailer nor Bethesda managed to reveal any hard facts, several things within the announcement trailer help us begin to paint a picture. For starters, the game is seemingly set in the year 2102, as spotted by the date entered on one of the Pip-Boy units lying around. We’re not sure if the entirety of the game moves on chronologically from that point, but it’s significant for a couple of different reasons. The first reason is that this will have been the earliest time in a Fallout game we’ve ever seen. The original Fallout took place in 2161. Fallout 2 was 2241. Fallout 3 and New Vegas were 2277 and 2281, respectively. The most recent entry – Fallout 4 – took us to the year 2287. While the bombs have already dropped by the time 2102 arrived (doomsday was October 23rd, 2077), Fallout 76 should be the purest a Fallout world has ever been, meaning buildings won’t be as worn down, vegetation won’t be as scarce, wildlife won’t be as mutated, and things might not be quite as depressing overall. That’s not to say you should expect an oasis, but it could be the perfect excuse for Bethesda to give us more of a living, breathing world when previous games gave them every excuse not to. 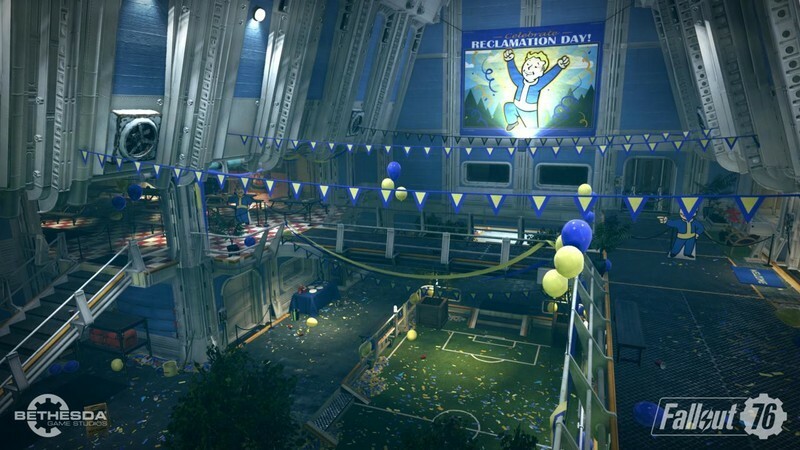 The second reason the year 2102 is significant is because Vault 76 was supposed to have opened precisely 20 years after the first bombs dropped — the inhabitants even seem to be celebrating their “Reclamation Day” at some point — but that date would mark 25 years. That means one of two things happened: the vault did open five years ago and we’re just seeing the abandonment in all its glory, or something terrible has happened that delayed the grand opening. And if you know the history of Fallout games, you know you’ll almost never leave the vault due to some regular occurrence. Beyond that, Bethesda dropped hints as to the game’s setting. The song playing on the radio throughout the trailer is Country Roads, a country song about West Virginia. Considering earlier Fallout games mentioned Vault 76 was located somewhat close to Washington, DC, the theory fits. Base building, rodent killing, and online play? The first Fallout 76 trailer didn’t give us any expectations of gameplay mechanics, but some early rumors have given us an idea of what to expect. We’ve heard that the base building aspect introduced in Fallout 4 will return in Fallout 76, presumably with more polish and a greater level of detail. In fact, it may serve as the entirety of the game’s premise (whereas Fallout 4’s felt like more of an afterthought feature). We can see a situation where you’re one of Vault 76’s inhabitants and you’re tasked with building up a settlement to help you and your family survive. And we’re sure all this base building would necessitate supply and food runs, meaning there’ll be plenty of reasons and opportunities to venture off into the wildlands. Expect a huge bundle of quests along the way that’ll help you gain new companions, gather the supplies you need, and indulge in Fallout’s unique combat system that mixes real-time action and turn-based strategy. Another rumor running rampant is that Fallout 76 will be the first ever online Fallout game. Kotaku reports that Fallout 76 originally began as an experimental project to see if an online component would be right for Fallout 4. While that development never came to fruition for the existing title, Fallout 76 gives them a nice opportunity to take a chance. It’s suggested that it will be akin to games like Rust or ARK: Survival Evolved, where dozens and hundreds of players can exist on the same server. In those games, you start off with absolutely nothing in your possession, and it’s up to you to start building the shelter, sowing the seeds, crafting your tools, and marking your territory. This would seem to imply that there will be both cooperative and PVP elements in play. But those who are fans of single-player experiences shouldn’t fret, apparently. It’s said there will still be a massive quest line for you to enjoy should you shy away from interconnected conflict. That’s sure to be good news for folks who enjoy Bethesda games for their strong single-player stories. Unfortunately, it’s not clear whether the game will be entirely online and whether players can enjoy their musings around Vault 76 without having to deal with the pressures of being online. Bethesda didn’t have much to share about Fallout 76 or its release date just yet, but considering they have their own press conference scheduled on Sunday, June 10th ahead of E3 2018, we can expect to learn more then. 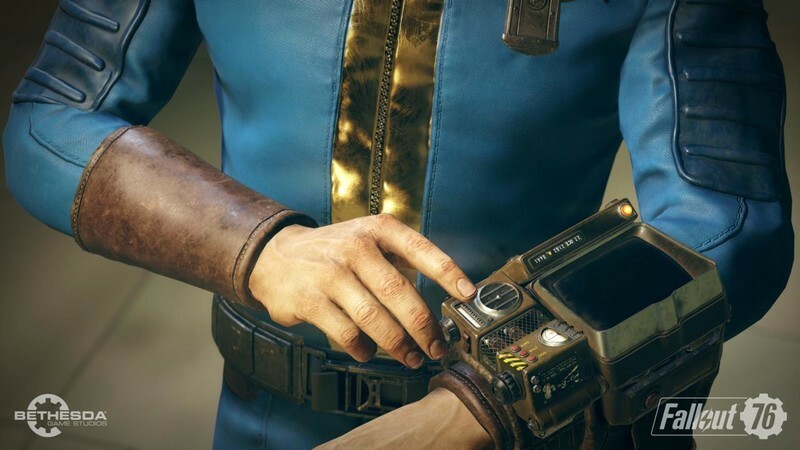 For what it’s worth, the exact date on the Pip-Boy in the trailer is October 27th, 2102. Some believe this could be a nod to the game’s release date in 2018. While we’ve seen release dates for games teased this way in the past, there’s always a chance that there’s no connection. 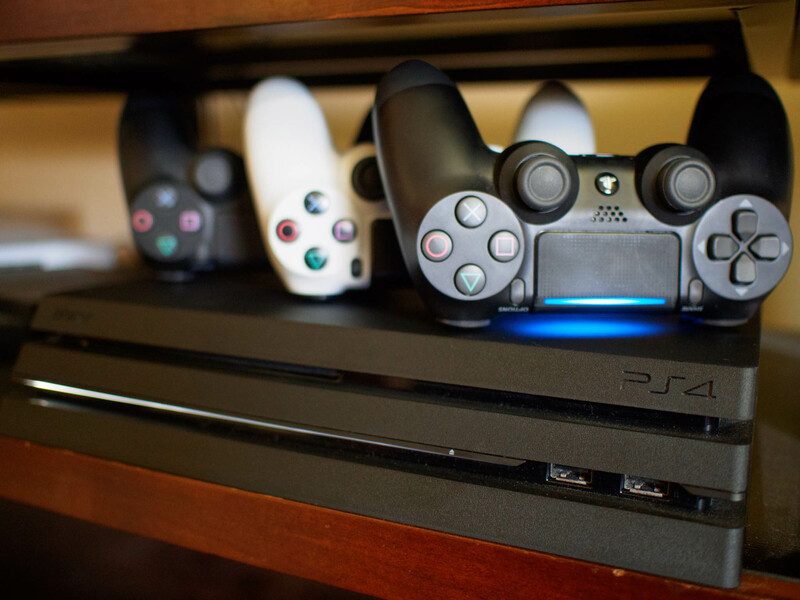 Whatever the case, we at least know for certain that you’ll be able to play the game on PS4, Xbox One, and PC whenever it launches. Be sure to check back often for more news and updates about Fallout 76 as we begin the long wait for an eventual release!